HANK ZIPZER: SUMMER SCHOOL! WHAT GENIUS THOUGHT THAT UP? Will Hank have a fun summer after all? 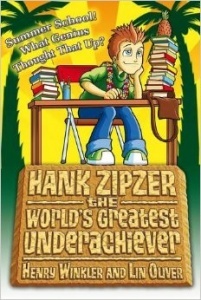 "Summer" and "School" are two words that Hank Zipzer doesn't want to hear in the same sentence. But there's no getting out of this one for Hank - summer school, here he comes!